How to download and install VLC? How to download and install Google Earth Safely? How to download and install CCleaner safely? How to download and install Zonealarm safely? How to download and install Filezilla safely? How to download and install Internet Explorer safely? How to download and install Firefox safely? What is Edge of Microsoft windows operating system? In simple words Microsoft edge is the replacement of internet explorer in the Microsoft windows operating system 10. With the invention of Microsoft edge Microsoft has ended the era of internet explorer. Now in the computer having Microsoft windows operating system 10 there won’t be any web browser called internet explorer. This brand new windows will be accompanied with new web browser called Edge. It is the default web browser of Microsoft windows operating system 10. Whenever someone upgrades his or her personal computer to windows 10, edge will be installed automatically with it. It is not only the default browser of computer having windows 10 but the default browser of windows mobiles too. Microsoft Edge is a very powerful and fast web browser invented to compete with most popular web browser of the world like Google chrome or Mozilla firefox. It has some salient features which make it different from the others. It is more secured than internet explorer. It is cortana integrated, which will answer the queries of the users. One of the most noteworthy features is that in edge, while you are reading something which interests you, you can, mark or underline the sentences or paragraph directly in the web pages. So in this way edge is totally a new avatar of internet explorer. How to install Edge in Microsoft windows operating system? Microsoft Edge is the default browser of Microsoft windows operating system 10. It is installed with windows 10 automatically. It cannot be uninstalled. But one can download internet explorer 11 in the Microsoft windows 10. How to remove Edge from Microsoft windows 10? Microsoft Edge is the successor of Internet Explorer in the Microsoft windows operating system. It is the default browser of Microsoft windows 10. But many people do not like it and hence want to uninstall it. 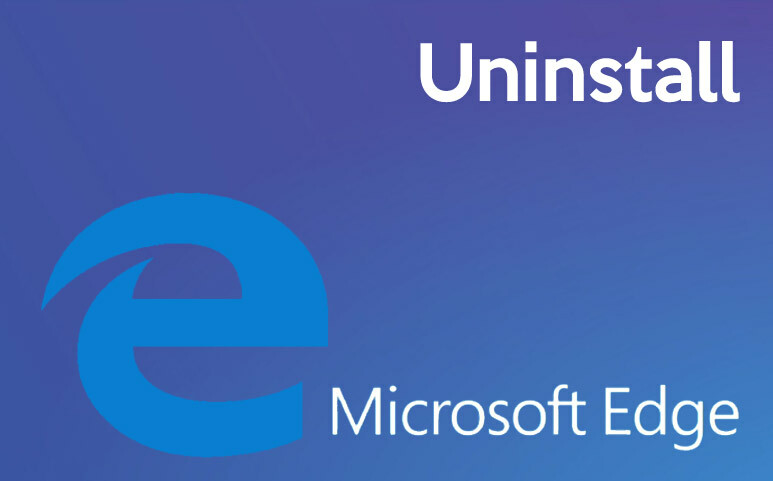 Uninstalling or removing of edge is not so easy and it may cause problem in operating system. Or it can be said that it is just impossible to remove Edge from Microsoft windows operating system 10. Rather you can download Google Chrome, Mozilla Firefox or Internet Explorer and make it a default browser of it in order to get rid of it. Then right click on the uninstall edge.cmd file and click on ‘run as administrator’. When the process is completed then restart the computer. After resuming, set another browser as the default browser. However removing Edge may cause destruction to the windows operating system. Thus it is preferable not to remove Edge but make it disable or you may use another web browser in place of it. Next articleHow to download and install Firefox safely?